We are going to shift away from the previous post’s concentration on the active refusal to teach reading properly that has been going on for decades. First though we will look at what Marshall McLuhan openly confessed to in his 1962 global bestseller The Gutenberg Galaxy. The entire book bemoaned the analytical habits of mind and sense of individualism created by phonetic literacy and the advent of print as an obstacle to “total human interdependence” and “corporate responsibility and awareness”. In order for the “highly literate and individualist mind…to become more collectively oriented,” a widespread ability to read print fluently and phonetically had to be jettisoned. Since neither education or buzz-saws operate independently, we do reserve every right to complain about the politicians, principals, and other administrators who are lying to us taxpayers and parents about what they are actually up to. At least a lopped off finger leaves a bloody stub so we can immediately take notice of the damage done. It is so much harder when other elements of the collectivization plans are even less visible than a limited ability or inclination to read. Today we will talk about the global push to use Character Education to “define the core ethical and performance values they most wish to instill in their students.” I bolded the ‘they’ because other people now get to decide what your child is to value and believe at an unconscious level so it will predictably guide behavior going forward. 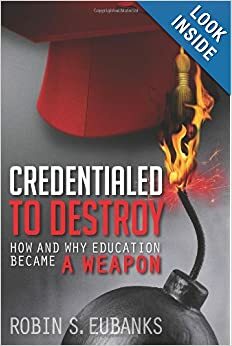 In my book Credentialed to Destroy in the chapter on the real Common Core implementation, I described how everything I had documented pointed to personal values, attitudes, and beliefs being the true new aim of the curriculum. This post is about more than that and it ties into both the Curriculum Redesign Project we looked at here http://www.invisibleserfscollar.com/drawing-back-the-standards-curtain-to-discover-the-global-coordination-to-redesign-the-very-nature-of-curriculum/ as well as the Global Education Leaders Programme [see tag]. This also fits closely with the disturbing Education Commission of the States and State Farm Civics Education report we examined in December 1, 2014. Principle 2 “defines ‘character’ comprehensively to include thinking, feeling, and doing.” Yes, that’s why we keep hearing about Whole Child Initiatives as part of the Common Core. How many parents understand that the Growth and Continuous Improvement the schools are hyping as showing improvement in student achievement are actually a shift of definitions to “a holistic approach to character development therefore seeks to develop the cognitive, emotional, and behavioral dispositions required to do the right thing and do one’s best work”? Whose definition of the right thing we reasonably ask? Why the definition used by those seeking Social Justice is the real answer. How do I know that? Beyond the insistence in Principle 4 that a “school committed to character strives to become a microcosm of a civil, caring, and just society,” I happen to know, as the tenacious lawyer that I am, that the federal government under the civil rights laws and most of the major civil rights groups are all insisting on a commitment from schools to Excellence and Equity. I happen to know that in K-12 education, Excellence has a specific meaning http://www.invisibleserfscollar.com/excellence-means-education-putting-what-we-feel-wish-for-and-think-in-harmony/ that quietly dovetails with that redefinition of ‘character’ from Principle 2. The entire vision of what its advocates refer to as Marxist Humanism as a goal for the West’s society and economy is grounded in meeting human ‘needs’. Interestingly, the requirement that all schools must now have “an academic program that helps all students succeed,” even those with what can only charitably be described as inert minds even on a good day, gets expressed in terms of an obligation to meet all students’ needs. Since inert minds are an unfortunate reality, we get the call for “a variety of active teaching and learning strategies” so that participation and projects become the way to deal with inert minds. Quietly and without alerting the parents, social interaction around topics of interest from the real world and ethical issues for the new hoped-for society become the entire point of the classroom and coursework. We talked about the reasons for wanting to limit reading fluency, but treating words as a whole and doling them out to guide thought ties right into the plan for how the “core values are woven into the literacy curriculum, where students use their reading selections to reflect on the values and on issues of character, such as discrimination, patriotism, and moral courage. In social studies classes, students are expected to act upon the core values as they select and research national or international causes and then work with community members to carry out related service projects.” I do not think it is a stretch to imagine that the reading selections available in the Cloud or put aside as an ELA Task Set will have a deliberate slant to it. I bolded that aspect about “leary students” since we are talking about 7-year-olds who might know a thing or two about what really makes Haiti so dysfunctional and be pondering the chances that any or how much of the 400 pounds will make to those in need there. Well-informed students don’t get to be leary anymore even when they reasonably ought to be. Given this statement: “the school’s approach to student conduct uses all aspects of behavior management–including rule-setting and rule-enforcement–as opportunities to foster students’ character development, especially their understanding of and commitment to core values,” life in K-12 education is about to become very uncomfortable to any students or adults not aboard the collectivist bandwagon. Previously I mentioned that there is a term for this type of community focused approach–Productive Learning. It’s not particularly productive to the individual student, but it is very productive to the political class laying out what must be done and what may not happen anymore. If we think of this Character Education vision as using K-12 to prepare students to now be members of a Human Development Society, the other crucial aspect of Productive Learning involves preparation for the new Workforce. We will deal with that aspect next time as we keep tracking the necessary conditions for a transformation away from Individualism as a legitimate 21st Century focus. We are making a pit stop in our discussion of the actual global vision of how to use K-12 education to create revolutionary transformations in our social, economic, and political systems without bothering to get consent. That’s some definition of democracy, huh? We are just going to talk today about reading and why political radicals do not want a widespread ability to read well anymore. If I was a sarcastic sort, I could have called this post “Literacy to Create Malleable Illiterates Via Stealth,” but since I do not have an ironic bone in my body I decided to refrain. Ooops, maybe not. I also want to dedicate the revelations I am about to volunteer to long-time UK Reading Instruction Advocate Mona McNee, who is now 91, ailing, and wondering why authorities there continue to reject her fine work that she has made freely available. This is for you, Mona. I have explained repeatedly that it is individual perception of reality that K-12 education seeks to attack. Within the last week the World Bank in its 2015 Report was kind enough to admit to us that it is subjective mental models being targeted in case anyone wants to think that the aspirations I am about to lay out were limited to a particular time or place. http://www.worldbank.org/content/dam/Worldbank/Publications/WDR/WDR%202015/WDR-2015-Full-Report.pdf Now that we have recent confirmation that this all still matters, let’s go back to the Soviet Union of 1929, the year after John Dewey’s troubling trip there that I described in my book Credentialed to Destroy . Deeply disturbed that what translates into English as Abstract Objectivism and rational views of causality and “a reverence for ‘fact’ understood not in a dialectical sense but as something fixed and stable” are all impeding the revolutions in all spheres envisioned by Marx and Engels, a VN Volosinov decided it was time for Marxism to directly alter the prevailing view of language. Why? We all want to reasonably ask. Because the traditional dictionary view of print removes words “from the pressures of the social struggle,” which is of course not OK to an ideology that turns out to be more about historical progression through various economic stages than who actually, technically, owns what. Reading instruction, like what could go on in the classroom generally, then became a means in a political struggle with the goal being to alter “the conscious, subjective human psyche” just as the World Bank still admits is its target. Both want to get at human behavior and, then and now, Mental Models are the way in. I want to stop this historical discussion for just a second to link this to our CTE emphasis in the previous post. http://maxteaching.com/files/Cornell-U-MAX-Teaching-Study.pdf is called “Authentic Literacy Applications in CTE: Helping All Students Learn” and is used by SREB’s High Schools that Work and was created by one of the listed consultants, James Stone. It’s all about paying attention to context and situations as a guide to how words are to be interpreted, just as Volosinov wanted. We could even describe this vision of authentic CTE Literacy as dialectical. Again, this all may seem from far away, but these aims remain current. In fact, the book Marxism and the Philosophy of Language was translated into English in 1973 with Harvard controlling the English copyright. Alert readers will recognize that’s precisely when the World Order Models Project began as well as the Rand Change Agent Study looking into why the 60s radical education reforms described in Chapter 6 of my book did not go as envisioned. One more fascinating detail setting up the assault of what would be called psycholinguistics or Whole Language in the West initially. In August 1977 Harvard Educational Review published an article by Lauren Resnick (creator of the terms Rigor and Higher Order Thinking Skills 10 years later and also on the Common Core validation committee. See Tag) and Daniel Resnick called “The Nature of Literacy: An Historical Exploration.” The paper states that it was financed by the US National Institute of Education and written during the Resnicks’ stay at the Center for Advanced Study in the Behavioral Sciences at Stanford, where so much of the other elements of Radical Ed Reform and Economic Justice theory also took place. The article argues that a goal of mass literacy is unprecedented in US history and that such a goal creates the need for a new way to teach reading. The article does not fit with my knowledge of reading history, but the mere existence of the article becomes the cite for a new way to teach reading to be imposed on all schools, especially in urban areas. That new way of teaching reading would put the emphasis not on sounds and letters since that would be a static, fixed “concern with the cadavers of written languages,” but on understanding the meaning of words “in a particular, concrete context.” The idea was that this method of teaching reading would allow language to be adaptable and changeable and fit to be a means for altering an individual’s subjective psyche to fit with the beliefs needed for the hoped-for transformations. Dictionaries, textbooks, lectures, traditional algebra not tied to the actual world but as an abstract tool, and systematic phonetic instruction of reading are all treating language as an inert state. None of these are suitable for a world that is supposed to be in the process of guided transformations and historical change along a hoped-for pathway. In other words, none of these instructional changes is about a better way to teach or an argument over content. At its rotten core this is about traditional practices that innoculate the human mind against manipulation from outside. That’s not acceptable anytime political authority insists it has the right to transform the mental models of the masses. That was the aspiration of Power in Russia in 1929. Unfortunately it lays behind the real aspirations in the US and elsewhere in 2014. Volosinov said that “one of Marxism’s fundamental and most urgent tasks is to construct a genuinely objective psychology, which means a psychology based on sociological [emphasis in original text], not physiological or biological, principles.” Marxism did just that and the Soviets researched precisely how to access and impact the individual, objective psyche and in the 60s, 70s, and 80s, as again I explained in the book and am supplementing here, the US imported and translated that research. It took that Marxian objective psychology and made implementing it in the classroom to alter individual students’ perceptions from the inside-out the emphasis of education degree programs, especially doctorates. It took away the offensive, but accurate, M label and simply declared the practices and policies to be Pedagogy. Classrooms were to be experiential and those experiences were created to alter subjective perception in prescribed ways. If there was a popular outcry, parents and taxpayers were deceitfully told this was a dispute over how to teach reading and math and that the administrators were the degreed professionals that must be deferred to. Political radicals have long understood that words and vocabulary “constitute the foundation, the skeleton of inner life” and the are absolutely determined this time to irreversibly alter it. Since skeleton has a yucky factor, the same philosophy gets better names like schema, mental models, or Frameworks. The intention is the same. What was italicized by Volosinov as superficial phonetic empiricism is a view of language that was and is in the way of the (also italicized) unity of the social milieu and the unity of the immediate social event of communication. Must be relevant to a person in a way that engages them and tied to real world problems and active and experiential like projects would be the current update of what Volosinov sought. Language must always be viewed in context just as Literacy-in-CTE lays out now. Abstract Objectivism as a traditional, rational, content-focused subject matter view of the purpose of education and a dictionary-based phonetic view of language quite simply “exclude any possibility for the speaker’s consciousness to be actively in touch with the process of historical evolution.” Got that? Here, quickly, are the problems with language and academics unless they are playing a role in the “dynamic process” of changing what an individual values and believes. 1) The factor of stable self-identity in linguistic forms takes precedence over their mutability. 2) The abstract takes precedence over the concrete. 3) Abstract systematization takes precedence over historical actuality. 4) The forms of elements take precedence over the form of the whole. 5) Reification of the isolated linguistic element to the neglect of the dynamics of speech. 6) Singularization of word meaning and accent to the neglect of its living multiplicity of meaning and accent. 7) The notion of language as a ready-made artifact handed down from one generation to another. 8) Inability to conceptualize the inner generative process of a language. That last one really is a confession of the extent to which the ideological focus requires drilling down into all the mental tools any individual is to have access to. This is fascinating, isn’t it, and explains so much that was previously inexplicable. Good thing for us that the earlier “idea of language as a system of conventional, arbitrary signs of a fundamentally rational nature [as] propounded by representatives of the Age of Enlightenment in the 18th century” has not yet been completely decimated by this M view of language and academic knowledge. I actually am not nostalgic for the castles, moats, or medieval armor. For one thing I like to cook, but not without centralized plumbing or over an open hearth. No, I keep thinking of terms from the Middle Ages because public policies being quietly enacted in the United States as well as other countries via K-12 education remind me a great deal of the previously accepted relationships between ordinary people and political power that was the hallmark of those times. Political authorities dictated what we could be, know, and what we must do while promising to take care of us and to meet our basic needs. It’s always fascinating to me to listen to an elected politician, their advisors, or college professors laying out a ‘new’ view of 21st century ‘rights’ and responsibilities and never quite grasping this is all a reversion back to a much earlier view of citizenship and the entitled prerogatives of those who hold political and economic power. Stated simply, throughout history, people with power will collude to keep it and expand it using the coercive power of the public sector over people, their behavior, and their property. They do it for their own personal benefit as well as the benefit of those who empowered them. Either by electing them, appointing them, or simply bankrolling them. I am actually not philosophizing here without a purpose. This was one of those rare weeks when I got a chance to ask the kind of legislators who get invited to Education Commission of the States meetings (see last post) if the Common Core was really about Workforce Readiness and didn’t various non-hyped state and federal initiatives tie K-12 as now about career preparation for all students in a politically-driven view of economic development in the future? I got a yes answer from some rather shocked people who probably wish I had stayed home with my documents. I suspect each of you would get a similar answer if you get to quiz legislators, mayors, or representatives from the Governor’s office in your state. The difference is I had the chance, used it respectfully, but against the background of the kind of documentation of the openly-laid out vision I am going to lay out here today. Just in case any of us get a chance to buttonhole someone during the holiday parties or as legislatures or city councils reconvene after the New Year. Because I understand how all this fits into a dirigiste 21st Century economy (the French term for such political direction), I am paying attentions to sites and sources that are probably not on your radar. We are about to remedy that. I explained that Congress had nationalized the K-12 education vision back in July 2014 and tied it tight to a Workforce vision for all students and states in this post http://www.invisibleserfscollar.com/priority-economic-citizenship-for-some-officially-sanctioned-status-as-prey-for-most-of-us/ . On November 20, 2014 a webinar on “Realizing Innovation and Opportunity in WIOA: A Playbook for Creating Effective State National Skills Coalition Plans” went over this detailed report. http://www.nationalskillscoalition.org/resources/publications/file/2014-11-NSC-WIOA-state-report.pdf WIOA remains news to most people because an announcement that Congress has laid out a detailed plan to “improve the nation’s workforce development system” would have poor PR value, especially with the open embrace and advocacy for cronyistic “sector partnerships” of industry and the related Career Pathways in a given state. I am the last person who thinks college is appropriate for all people, but politicians skip over the part of this vision that now sees a 6th grade level of math and literacy skills as all anyone will need in the 21st Century. The third recommendation is to “Make career readiness matter to schools and students by prioritizing it in accountability systems.” Accountability is much like accreditation. It is a largely invisible means to make something mandatory in the classroom without adequately disclosing the changed reality to students, parents, or taxpayers. Now in reading that report, there is no inkling that any of these ideas are anything other than state employees trying to meet industry needs and satisfy that much-hyped skills gap. We know better though. We are not just aware of WIOA, but also all the federal programs at Labor and Education mandating this shift to a reenvisioned Career Technical Education for all students. I laid out all the federal mandates here. http://www.invisibleserfscollar.com/banishing-any-distinction-between-academic-technical-and-lifeemployability-skills-active-deceit-everywhere/ Even more fascinating in all the calculated deceit going on to prevent a widespread accurate perception of the true nature of the shifts involved is a mention that the Southern Regional Education Board had a Commission on Career and Technical Education also pursuing this agenda. Now that got my attention since I have been following Gene Bottoms’ work since he first developed his K-12 vision of Techademics while working for the Georgia Department of Education in the 70s. If you live in a southern state from Texas to Virginia, including Oklahoma, you will want to check that list for the officials listed. I want to make sure though that the presence as consultants of people like Marc Tucker, who headed the controversial national standards/ School to Work attempt in the 90s and Anthony Carnevale, who were both with the Carnegie-created National Center on Education and the Economy to align the US to the Soviet vision of education, are not missed. Before his current perch at Georgetown, Carnevale has been pursuing this vision for decades as I laid out here. http://www.invisibleserfscollar.com/anesthetizing-any-ability-to-blow-up-or-contaminate-a-chosen-politically-useful-narrative/ The listed David Stern is a subsequent director of the same center polytech visionary Robert Beck (Chapter 4 in the book) previously led. We have also met Aneesh Chopra before in his previous capacity as this country’s first Chief Technology Officer. Remember I explained his alarming new book Innovative State: How New Technologies Can Transform Government? http://www.invisibleserfscollar.com/journey-to-the-center-of-the-core-yields-the-yoke-of-citizen-centric-governance-to-force-a-shared-vision/ All of this hyping of STEM learning and using computers as an essential component of classwork makes more sense once we appreciate that STEM is simply a more politically palatable description to obscure the shift away from subject content to CTE embedded in group academic tasks for all. http://www.careertech.org/sites/default/files/CTEYourSTEMStrategy-FINAL.pdf is the federally sanctioned revelation from a year ago. This was a link heavy post because all of this is quite documentable. Most of the people involved in all these reforms have no incentive to connect these dots. We parents and taxpayers though have no choice if we want to escape a future of us and our children functioning as vassals living in a dirigiste fiefdom. All planned around an illusory utopian vision of changing people’s personalities and mental models to voluntarily accept a far more collectivist vision where we each exist to meet other people’s needs. The extent to which all of this comes together with a Bespoke Fit makes much more sense once we are aware that the global name for this type of K-12 education for this kind of directed economy and society has a name. Productive Learning. Next time we will exercise our still existing privilege to deny any obligation to accept this vision with fealty, bowing, or general homage. No wonder there is such an intense desire to limit the capacity to read fluently. Guardians of Democracy or Hatcheries for Revolutionary Change Agents of Carefully Cultivated Consciences? Suffice it to say if someone was hoping that releasing a hugely troubling new transformative paradigm for P-20 during a holiday week would allow it to go unnoticed, the phrase “Not. Going. To. Happen.” would be my response. Changing the formal sponsors to other connected entities did not allow the “P-20 Schoolhouse for 21st Century Democracy” to avoid being tied, as it was intended to function, as actual components of what the Common Core looks like in the typical classroom. Even worse for those wanting to avoid scrutiny, the links to the global agenda being pushed particularly by UNESCO are what we could slangily refer to as Easy-Peasy to prove. Welcome back in other words from our respective Turkey and Dressing Binges to the “STATE Civic Education Policy Framework” http://www.ecs.org/clearinghouse/01/16/12/11612.pdf . Now before any of us do precisely what it is hoped we will do and dismiss this as simply another attempt to make sure the next generation is familiar with the 3 branches of government at the federal level in the US, let’s look at the curious new definition of Civic Education. I’ll put it this way. Lenin could have worked with this definition and as we will see the communist Chinese are currently on board as well. My bolding. I am going to interrupt this excellent point by showing all the crony capitalist/We Just Adore Public-Private Partnerships companies who have ponied up to be formal sponsors of the Education Commission of the States. http://www.ecs.org/html/Sponsors/WebsiteForumSponsors.asp Notice how they say they want the business community to be actively involved in creating the new paradigm for education. Business executives at these companies hate Von Mises vision for new products and competition for that consumer dollar like what I just quoted. They love public sector contracts. All these links I provided are about reengineering a personality that will act to bring about and then tolerate living in precisely that kind of “socialistic, communist society” that Soviet psychologist AN Leontiev wrote was the purpose for this type of education. Notice in any of these links that there is a stated obligation of everyone to meet anyone’s basic needs–a right of being human. That seems to be what Leontiev had in mind as ‘socialistic,’ when he always linked these two terms that we tend to view as synonyms or milder versions of the same basic political theory. The reference to communist is not just a tie to Uncle Karl’s ultimate vision although it is that. All of these frameworks seek to cultivate an obligation to, and responsibility for, the community. They say so repeatedly and we need to notice it. Finally, there are multiple references to being a “member of society,” a “member of the community,” or “cultivating students’ care and concern for their communities.” We are not educating the individual to make their own decisions anymore. If they are able to do that, it is from a set of emotions, values, and beliefs that have primed a person to act in a certain way. Policymakers and their corporate cronies are prescribing a mandate of “inquiry-based instruction that results in informed action and demonstration of learning.” The action is not ‘informed’ by the individual except via the presupplied beliefs and concepts. The ‘learning’ being ‘demonstrated’ is someone else’s conception of what must now be valued, believed, or new behaviors to be shown. When oligarchs outline the “shared beliefs that should undergird the educational system, its institutions, practices and outcomes,” it should not be slipped through during a holiday week to be imposed, like it or not, with no genuine notice of what is changing. Insisting that all students must now exhibit a skill to “plan strategically for civic change” with less notice to parents than what used to be required for a Field Trip permission slip simply reenforces the appearance that all these education reforms are really a Political Coup. The fundamental fact behind true liberties is that they are not bestowed by government and they are not governments to take away. Yet that is precisely what all these education reforms amount to. No university should be able to grant a degree in any area, even a doctorate in Educational Leadership or Curriculum, that amounts to a license to be a taxpayer funded nonconsensual Change Agent. The idea that numerous sources openly decree that the students will be consciously turned into cultivated change agents is horrific. As usual, there is actually not a dispute about the accuracy of what I am laying out. Calling attention to it is the only remedy I know of for what is being attempted. Consider this post our Red Alert Notice. Flashing lights and sirens please.